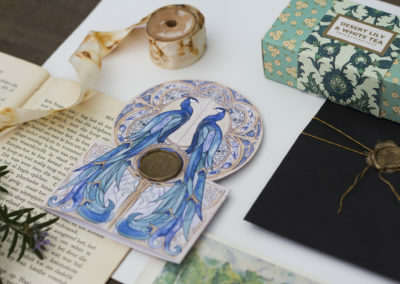 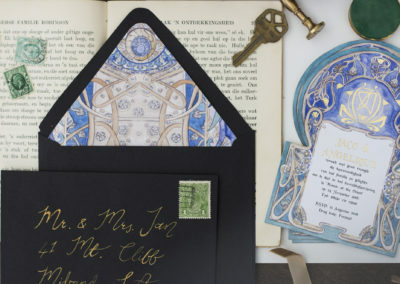 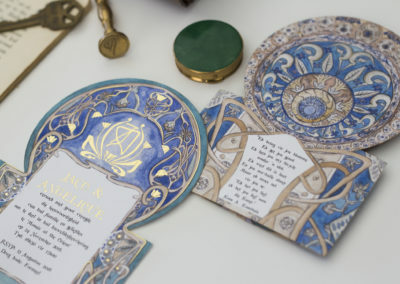 A unique couple deserves unique wedding stationery. 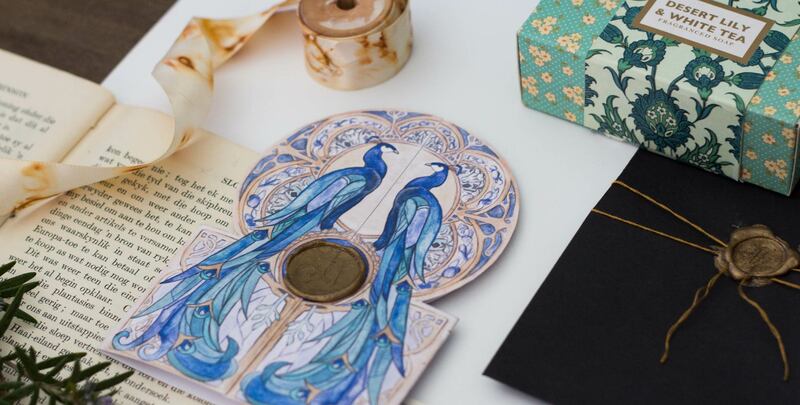 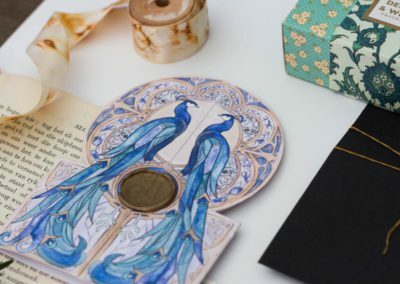 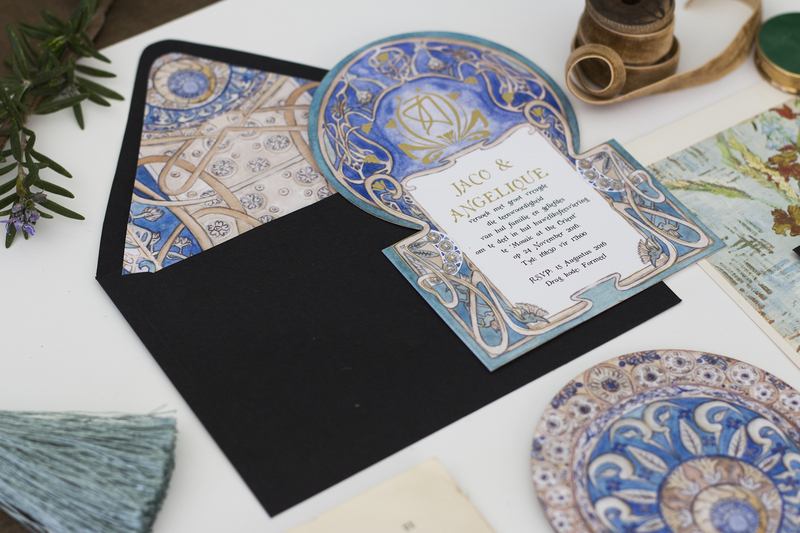 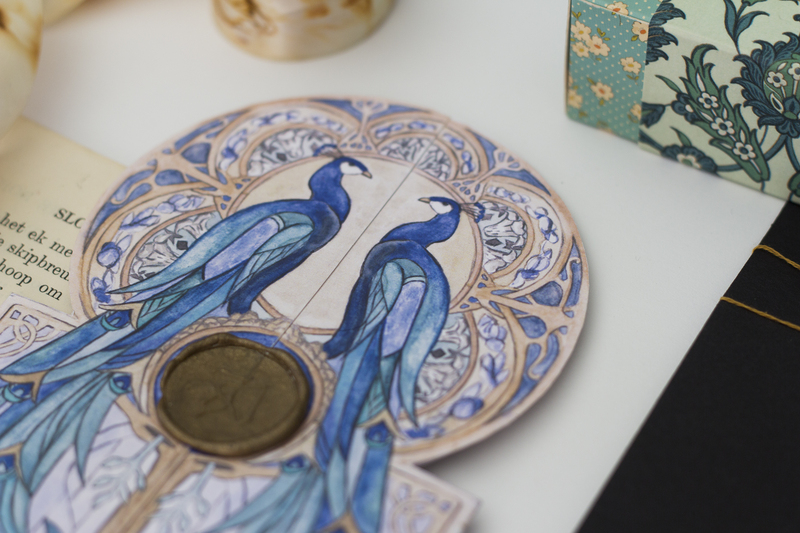 We had the pleasure to create an Art Deco inspired invitation that features an array of peacocks, patterns and bold colours. 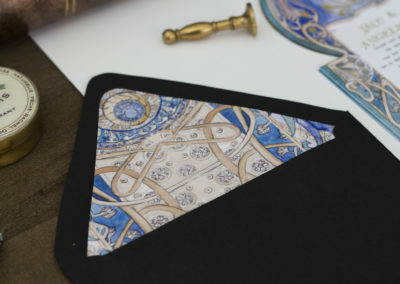 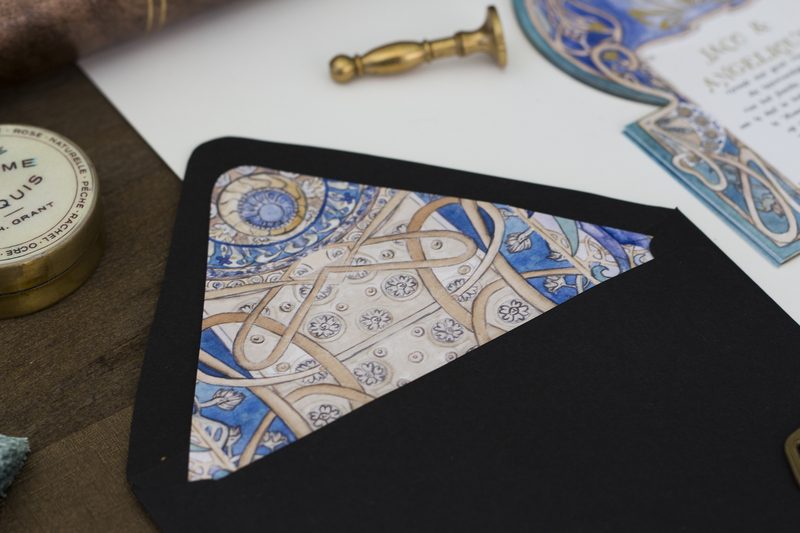 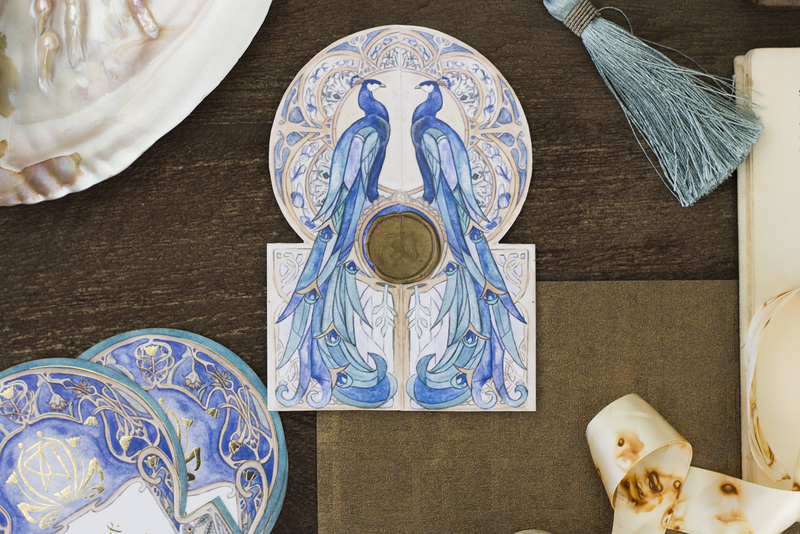 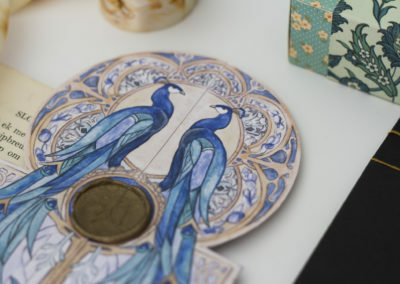 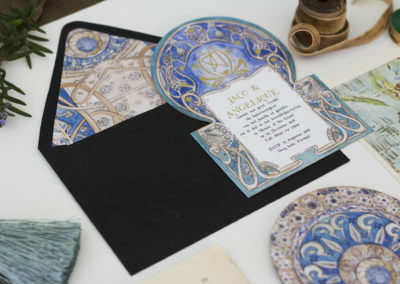 We were inspired by the artworks from Alphonse Mucha as well as the wedding venue that will sure be a vision to behold. 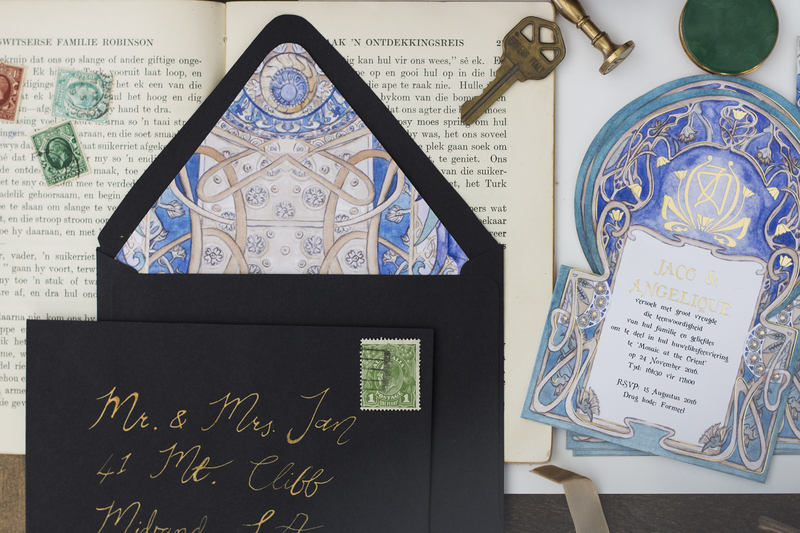 The invitation was finished off with a custom wax seal featuring their monogram, and touches of gold gave a special touch.